Address: 618590 Permskaya obl., Krasnovishersky r-n, Krasnovishersk, Gagarina st, 36"b". 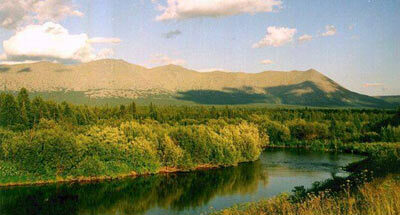 Zapovednik Vishersky, in the north of the Perm Region, was established in 1991. The area is 341,200 ha. 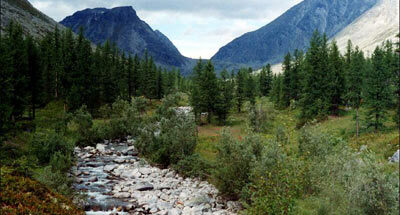 It is located in northern Ural in the basin of the Vishera River to cover a single Vishera drainage area. The Zapovednik includes ranges of the Ural axial zone with a part of the main Ural watershed (Oshe-Nyer Range), inter-mountain meridional depressions and the foothills of the Ural west-facing slope. 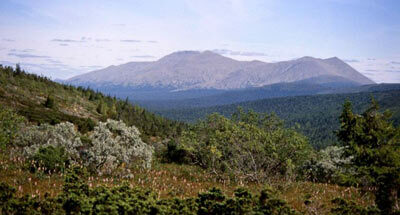 The plant cover is dominated by the mountain middle-taiga spruce-fir forests. At elevations more than 400 m above the sea level they become more rare and acquire northern-taiga features. Elfin woodland and tall grass sub-alpine meadows are well developed in the subgolets zone (i.e., the zone below the bald mountains), which are replaced, higher above the sea level, by mountain heathlands with low mountain cypress (Juniper sibirica), dwarf birch (Betula nana) . and the willow thickets. In the golets zone, between 350 and 1000 m above the sea level mountain tundras are common; and higher than 1000 m above the sea level cold deserts occur (on the tops of the Tulymsky Kamen Range, Khus-Oik Mountain). The flora comprises 460 vascular plant species, including 2 rare. There are 45 mammalian species, 136 avian species, and 7 fish species. The wolf, fox, brown bear, sable — the largest population in the Perm Region, ermine moose, and wild reindeer are common. Among rare and endangered avian species are the osprey, golden eagle, white-tailed eagle, peregrine falcon, and black stork. The fish fauna includes: grayling, taimen, and bullhead.